​"The major job was getting people to understand that they had something within their power that they could use, and it could only be used if they understood what was happening and how group action could counter violence." Will you support us as we honor her legacy? 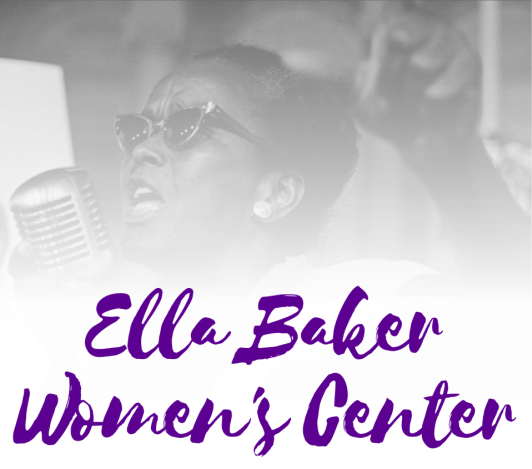 The Ella Baker Women's Center is dedicated to honoring Ella Baker's legacy through leadership development, community organizing trainings, and relationship building. 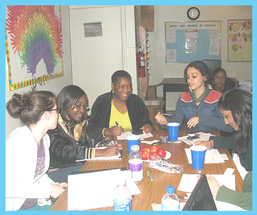 Striving Sisters Speak is a group of high school-aged young women of color who live in low-income housing communities that first convened in Chapel Hill, NC in 2007 and continue to meet on a weekly basis. S3 youth leaders teamed up with students from Duke and UNC to plan a spring conference on multi-generational coalition building, called Sharing the Mantle: A Conference on Collective Leadership Models for Youth and Adult Partnerships. 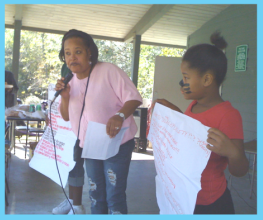 The Ella Baker Women's Center is committed to serving disenfranchised communities by empowering women and girls to be leaders in their communities, helping to build productive and equitable relationships between citizens and public/private institutions, and providing community organizing training for residents to build social capital and work for social justice in their own communities and beyond.